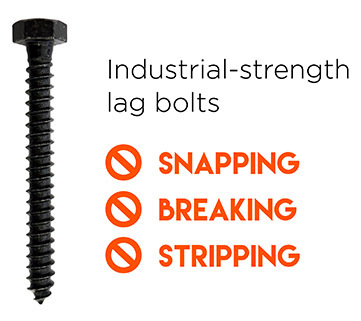 We don't screw around: Our lag bolts are custom-hardened to prevent snapping or breaking. 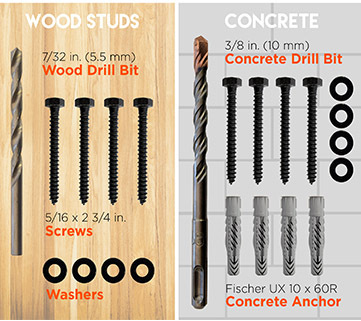 Which size drill bit you need for mounting to wood or concrete? Trick question: They're both included. Never re-use the original hardware if you are moving your TV mount. Grab this kit to make sure your TV stays on the wall. You can safely use this kit with any TV mount. Plays well with others: This kit was designed for ECHOGEAR mounts, but will work for whatever mount you've got. 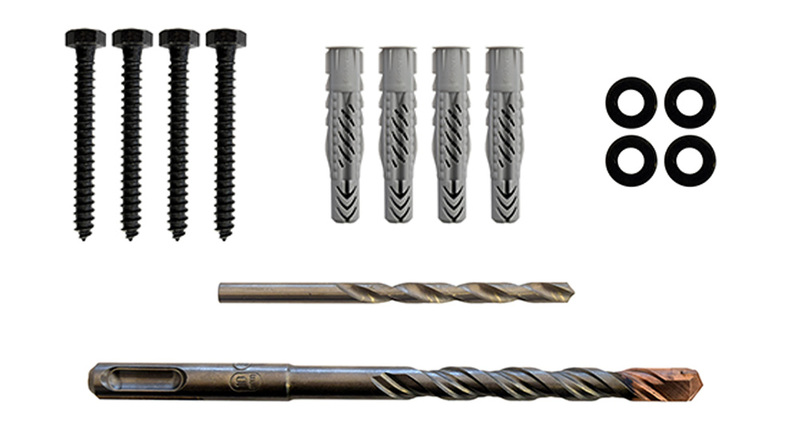 Get your TV re-mounted in wood or concrete in no time with this complete mounting kit. We put together high-quality hardware into a convenient pack to save you time and a headache trying to figure out what you need. 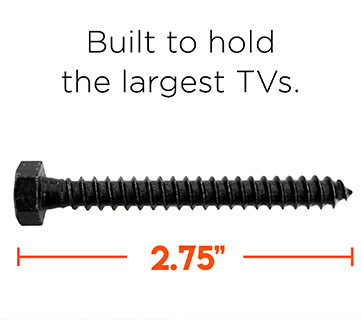 NOTE: Concrete Anchors are not compatible with Brick for TV Wall Mount applications. Click the button below to add the Lag Bolt Kit For Mounting A TV Into Wood Or Concrete to your wish list.